There is something depressing and wild - to stepBare feet on monolithic age-old stones ... and natural - to luxuriate in a clay, marble or stone bath. Closing your eyes, you can imagine yourself in a bowl created by nature itself, filled with water from hot mineral springs. Full relaxation, relaxation and relaxation not only of the physical body, but also of the soul ... From small and wide to deep and long,Stone baths from Vaselli will occupy a large area of ​​the bathroom, but for those who like to dive into a relaxing and enchanting atmosphere, it will be easy to sacrifice a couple of square meters, if any, of course. 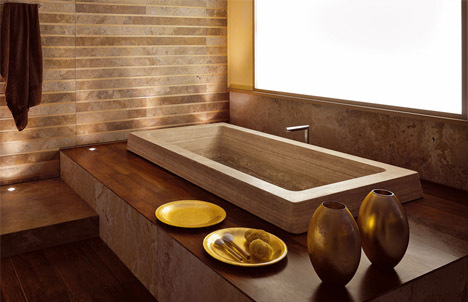 It is difficult to imagine such a luxurious bath in a typical city apartment, however, which in life does not happen! For such baths, the interior of the room is important. 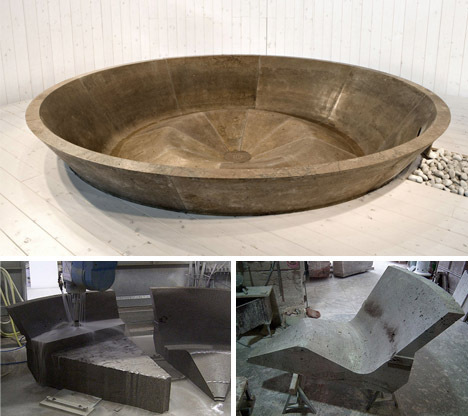 Each detail must be interconnected and harmonized with the central stone bowl. In the decoration of walls and floors, it is good to give preference to slabs of stone and hardwood, marble or tile, and tiling with their own hands is not so difficult. How to do it - read on. 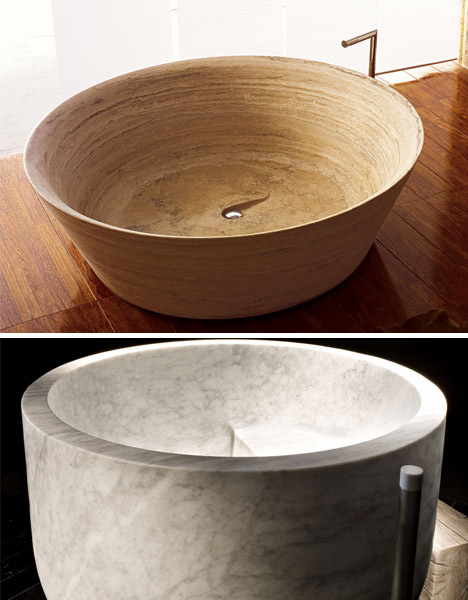 Some baths are cut from a single pieceRocks, while others consist of several sectors carefully adjusted to each other. Every detail is done exclusively by hand with the help of both modern tools and traditional methods of stone processing, which have existed from time immemorial. 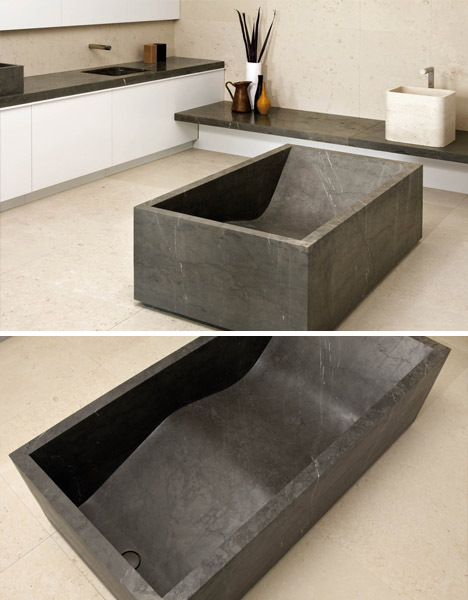 The natural stone is resistant to damage and abrasion, has excellent antibacterial properties, dampens vibrations during the filling of the bath, and most importantly, such a bowl keeps the heat perfectly.